Dental implants are a permanent solution to a damaged or missing tooth. Implants are surgically inserted to replace a rotting tooth in either the upper or lower jaw. 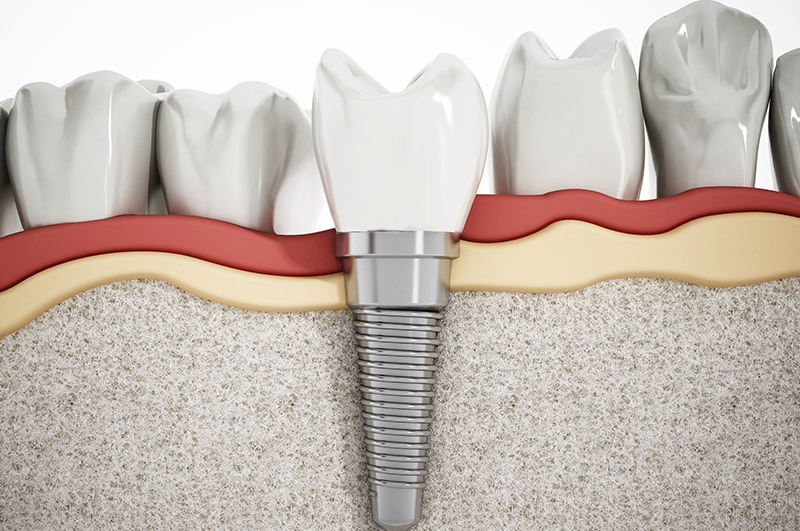 In addition to filling in a hole in your smile, dental implants also improve your bite, speech, and provide stability for crowns and bridges. When you have a missing tooth or group of teeth, a single dental implant or a dental bridge that fills the gap could be a solution. Dental implants are surgically placed into the bone and covered with a crown that matches the color of your other teeth. The result is a full smile that looks natural and healthy. Dr. Stephenson is proud to offer dental implants at Juniper Dental. He stays up-to-date with the latest in the industry by attending a local dental implant study club.